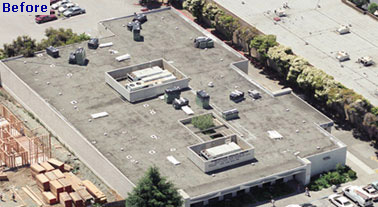 Priority Roofing Solutions, Inc. realizes the importance of promoting green roofing in San Jose, CA, as a practical improvement that will positively affect generations to come. Talk to us when you are ready to design and install a green roof on your property. Architecturally, green roofs are an attractive way to balance construction and the natural landscape for a more eye-catching building. Environmentally, they offer an important way to face the challenge of minimizing our impact on the ecosystem. While green roofing allows for greater energy efficiency and indoor temperature control, they also serve to mitigate the phenomenon of the urban heat island. Let us get started on your green roof that will make a positive contribution to your indoor and outdoor habitats. The roof garden is an increasingly popular variety of green roofing. The many benefits include a decorative appeal, indoor temperature control, recreational uses, and small-scale food crop production. Call us when you want to get started on roof garden installation. Your roof garden is an opportunity to make better use of your property’s available space while acting as a responsible custodian of our environment. Our roofers use approved cool roof materials from various manufacturers, insulation board for thermal value, and white coatings. Green roofing is the roofing of the future. If you are ready to take advantage of an eco-friendly roofing alternative, we encourage you to pick up the phone and call us today. 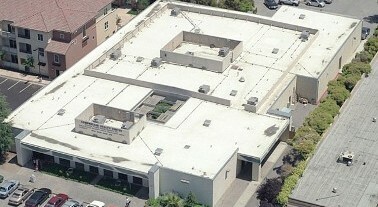 Our company has been a leading roofing provider since 1999. Contact us to discuss our green roofing solutions. From San Jose, we proudly serve customers in the Bay Area as well as Northern and Central California.